How much does a training class cost? A training class can cost between $300-$400 depending on the area and class size. Each educator sets their own training fees. Yes. We like to introduce you to all of our products to achieve the best results. You may choose between a small or large class kit. The kit will be shipped to the educator for the day of your class. The kits and prices are listed on our Training page. Why don't I see a class in my state? Our eductor program is growing fast. Please call our office and we will do our best to find a class as close to your area as possible. You may have to travel, however for classes of 6 or more students a educator may travel to you. I am in beauty school, can I still take a training class? Yes, we will need to verify that you are enrolled in school. 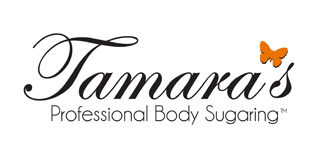 My beauty school trained us in sugaring using your product, can I buy extra product to practice with? Yes, you may buy product to practice with. You may register for an account online and once we have verified school enrollment we will authorize your account. I am already certified by another company, can I buy your products? Yes, we do honor other company's training and would be happy to introduce you to our products. You may register for an account online + email a copy of your current license and sugaring certificate. We will authorize your account once it is received. We will also give you a call to say "Nice to meet you" + answer any questions you may have.